Ps. lxxxix. 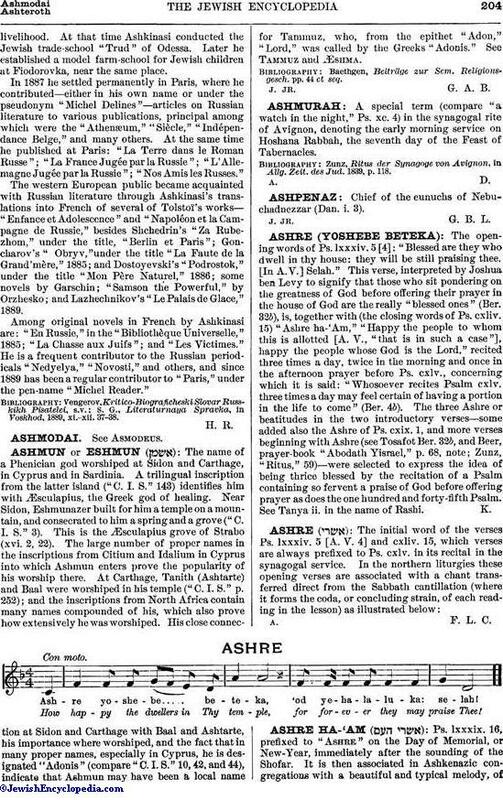 16, prefixed to "Ashre" on the Day of Memorial, or New-Year, immediately after the sounding of the Shofar. 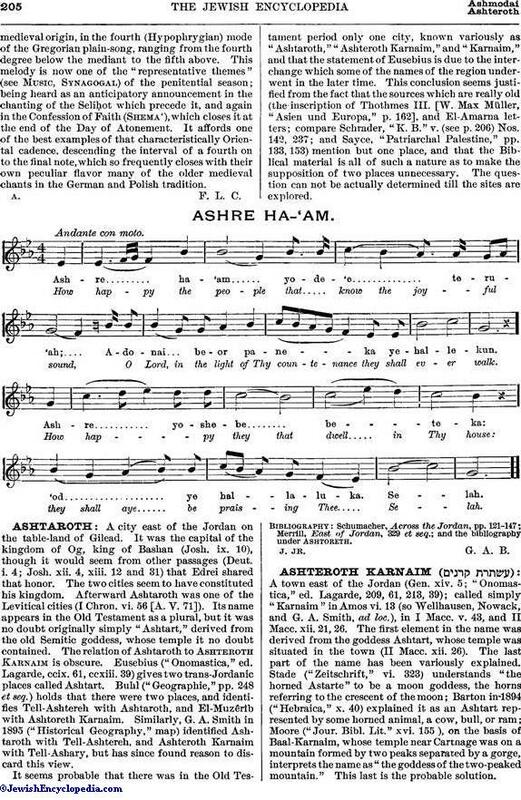 It is then associated in Ashkenazic congregations with a beautiful and typical melody, ofmedieval origin, in the fourth (Hypophrygian) mode of the Gregorian plain-song, ranging from the fourth degree below the mediant to the fifth above. This melody is now one of the "representative themes" (see Music, Synagogal) of the penitential season; being heard as an anticipatory announcement in the chanting of the SeliḦot which precede it, and again in the Confession of Faith (Shema'), which closes it at the end of the Day of Atonement. It affords one of the best examples of that characteristically Oriental cadence, descending the interval of a fourth on to the final note, which so frequently closes with their own peculiar flavor many of the older medieval chants in the German and Polish tradition.